THE WATER at Copeland's four bathing beaches is clean and two have excellent water quality. St Bees and Silecroft have excellent water quality, Seascale has good and Haverigg's is 'sufficient.' The results mean locals and visitors to this attractive coast can swim and enjoy the beaches in confidence. The Environment Agency tests water at specific sites every week from May to September, to ensure the water is safe and clean for swimming and other activities. These results lead to a rating of excellent, good, sufficient or poor from the Department for Environment, Food and Rural Affairs. The annual rating is based on an average over four years. 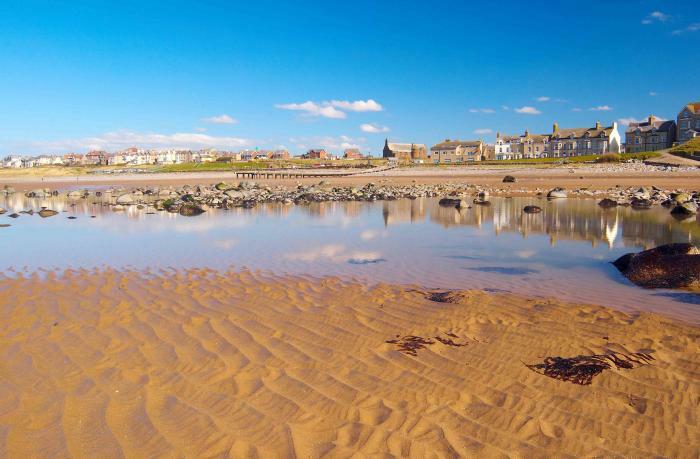 Coun Allan Holliday, Copeland's portfolio holder for environmental health, said: "I am delighted at how our beaches, managed by CBC, are performing. It's great that people can continue to enjoy such a beautiful coastline with confidence. "That two beaches, St Bees and Silecroft, have achieved the highest-possible rating is great news for visitors and locals alike. Clean safe beaches are an important part of the quality of life in coastal communities. They are also a key element in the tourism industry and, I think, one of the jewels in our landscape crown." More information about designated bathing waters and how they are tested can be found here: https://www.gov.uk/government/collections/bathing-waters.